The local DAB trials conducted at various locations across the Netherlands have ended. The licences for these expired on January 1st 2018. The Netherlands uses DAB+. 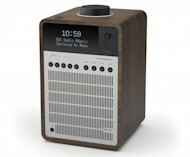 Wohnort recommends that you buy a receiver that is DAB+ capable if you intend to use it in this country. MTVNL previously operated as an MFN, with the same multiplex being broadcast in all areas. Gradually, more and more areas have begun broadcasting different multiplexes. Currently, however, the areas Friesland (5A), Flevoland (5D), Zuid-Limburg (8C), Zuidholland (5B) and Overijssel (11B) continue to broadcast the same multiplex. Note that in some areas, MTVNL uses the same EId, even though the combinations of audio (and data) services are not identical! This network broadcasts the same multiplex as Friesland, Overijssel, Zuid-Limburg and Zuidholland. The details below are taken from reception of the Zuidholland transmissions. This network broadcasts the same multiplex as Flevoland, Overijssel, Zuid-Limburg and Zuidholland. The details below are taken from reception of the Zuidholland transmissions. This network broadcasts the same multiplex as Flevoland, Friesland, Zuid-Limburg and Zuidholland. The details below are taken from reception of the Zuidholland transmissions. This network broadcasts the same multiplex as Flevoland, Friesland, Overijssel and Zuid-Limburg. This network broadcasts the same multiplex as Friesland, Overijssel and Zuidholland. The details below are taken from reception of the Zuidholland transmissions. Als u de informatie op deze pagina's nuttig of interessant vindt, overweeg dan om een kleine donatie te doen om te helpen. Bedankt voor je steun. Kies uwe donatie. U wordt naar de PayPal-website gebracht.